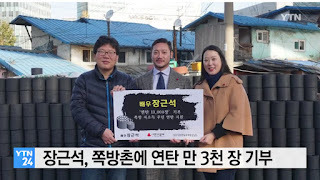 We all know about our boss’s warm heart and even now, that he is far from our sight, we learn that he continues to help people in distress. 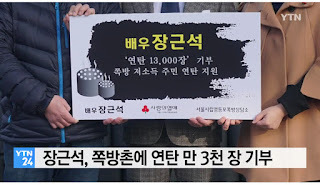 As several articles on Naver report, he recently donated 13 thousand briquettes to residents living in poor row houses through the Seoul Social Welfare Community Chamber at the Yeongdeungpo neighborhood counseling center in Seoul. The executive director of TreeJ and representatives of CriJ attended the delivery ceremony on his behalf.